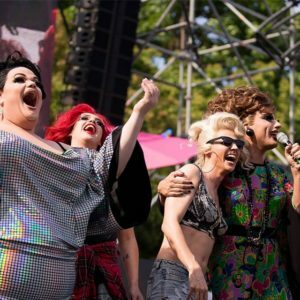 The House x 2018 Pride roadmap to the best Toronto Pride is here. We embrace that there are plenty of different strokes for different folks. Broken down into two categories, you can spend your weekend in the thick of it or take a break from the hustle and enjoy a few of the dozens of other things going on in Toronto. 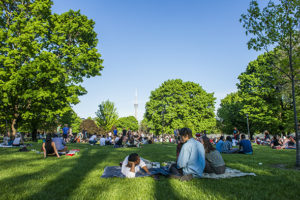 The House recommends getting down at the Green Space Festival, positioned at 519 Church Street, a 5-minute walk from Our House. The 519 Community Centre continually throws the best (read: blow out) parties of Pride. All funds raised are in support of The 519’s essential year-round community programs and services. Beginning Wednesday, June 20th, Starry Night puts on one banger of an evening featuring top DJ’s and performances by the who’s who of #DragRace (oh, hey there, Miz Cracker, The Vixen, Monét X Change) and many more notables. Head back Thursday, June 21st for Disco Disco which brings you back to your funky roots. Friday is the acclaimed One World Party where House music reigns supreme. All Day Saturday, June 23rd, Lipstick Jungle roars for the girls and their friends. If you take any advice from us, after the parade Sunday, June 24th, you best head to the Tree House (yassss, shows!). The Tree House party celebrating its tenth anniversary is the pinnacle event of Pride and a central meeting place for new and old friends. Dance your heart out; you’ve successfully mastered Pride (we did it, Gloria). 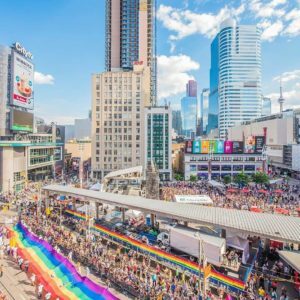 Partaking in the Pride Parade is a must, Starting 2 pm Sunday, June 24th the route heads down Yonge Street from Bloor to Dundas Square (Route). It’s literally at the doorstep of Our House so get out and get in it! For well-rounded pride listings, our friends over at yohomo.ca have every single event imaginable. Maybe large crowds aren’t your thing. We get it; you can spend some time hanging away from the bustle at some of the following House Approved ‘It Spots’ and events. Bandit Brewery features some of the best drafts on the west side. Beerhall tables, incredible patio, and laid-back vibe allow you to watch the street go by over a couple of pints. Follow up Bandit with a walk over to Hendersons Brewery on Sterling Road for the Chau Popup x Hendersons Brewery, homecooked Asian snacks paired with their award-winning beer, win-win we say! Meander during Pedestrian Sundays in Kensington Market always chalked full of people watching and food!